Instant reports for teachers, form tutors, pastoral teams and SLT. Shareable with parents and pupils via our apps. Our homework module is easy to use and will save you money! It will offer a range of homework features and is designed to seamlessly integrate with your current seating plans. 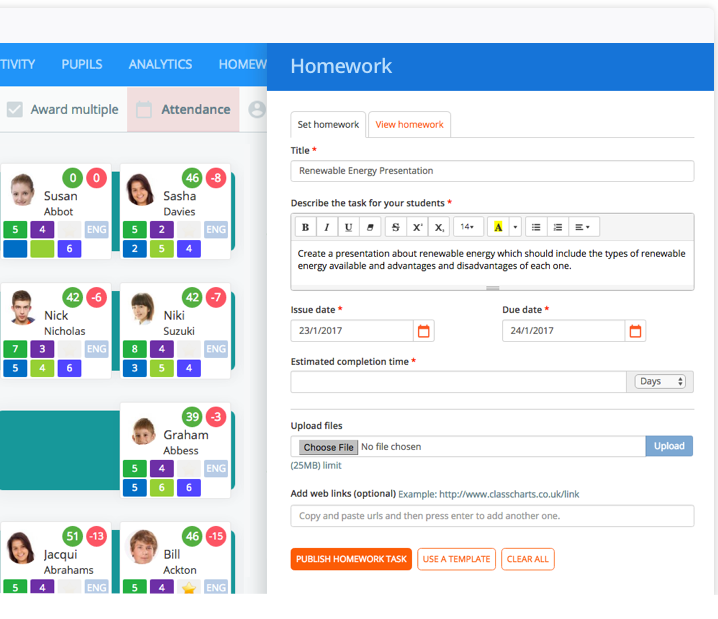 The seating plans reduce your teachers’ workload and ensure they are always aware of key pupil data for differentiation. Motivate & engage pupils with a customisable reward store. Positive work translates into rewards. Incentivise and promote positive behaviour. Our parent & pupil apps help engage & celebrate achievement. Behaviour, homework, attendance and rewards are options. 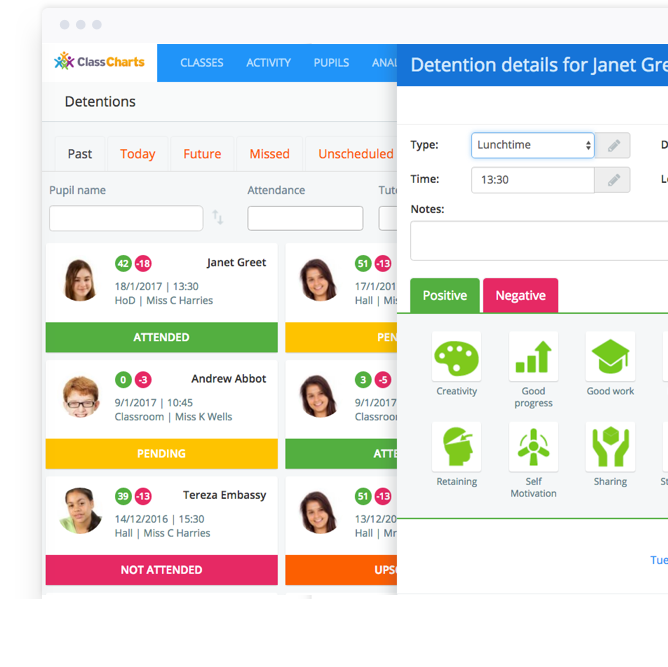 Our detentions module is tied in with behaviour management and offers a slick way for your school to manage the whole detentions process. Our WAR Boards are a big hit with SLT. You can say goodbye to hours of scissors and Prit Stick and say hello to a fast and powerful way of creating a visual representation of groups of pupils. We take pride in taking care of our clients; providing training, troubleshooting and assisting every step of the way. We do free online training throughout your licence. Our seating plans are a big time saver. They display key information about pupils (eg. SEN, Target grades) & sync with SIMS, Integris, CMIS, Progresso etc so they are always up to date. Rearrange by ability in a couple of clicks. Use Safe Mode to display the seating plan on a whiteboard. Highlight underachievement to your teachers. Print beautiful, data rich seating plans for lesson observations & inspections. Works on whiteboards, laptops, iPads and phones. 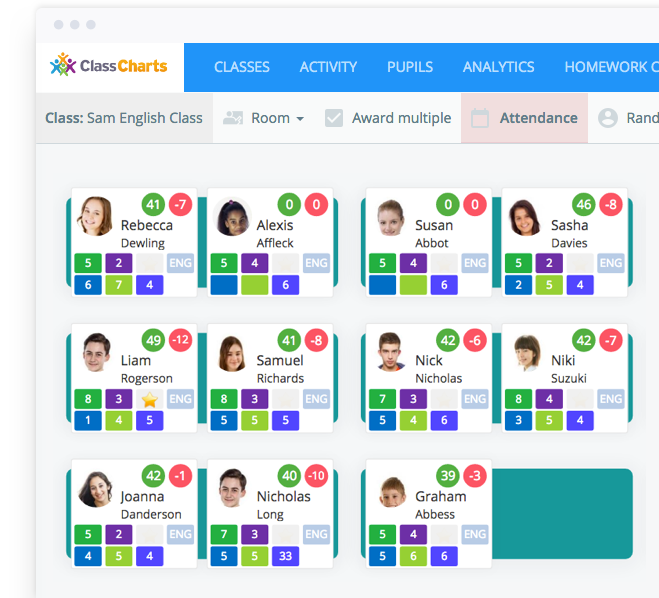 A Class Charts component is our behaviour management module – which is an amazing tool for reducing low level disruption! Pupil behaviour is the biggest barrier to good teaching & learning that teachers face. 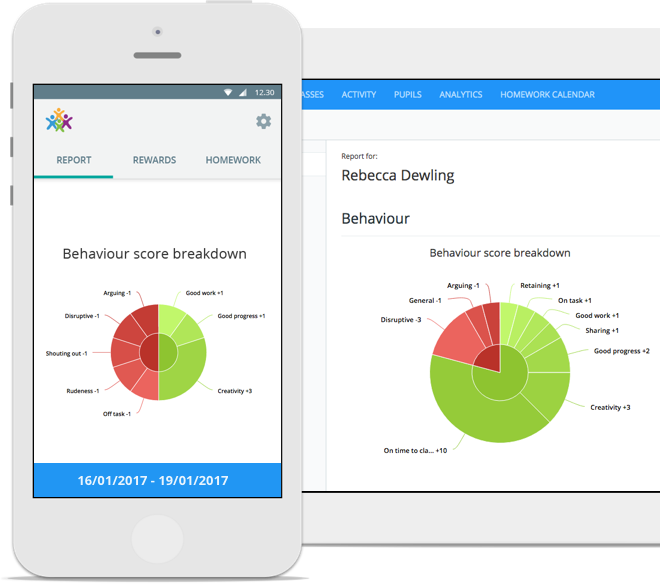 Our behaviour management component makes a real difference and totally streamlines the behaviour management workflow in schools. Customise achievements and behaviours to match in with your existing school policy (SIMS writeback supported). Teachers can award achievements and behaviours in a couple of clicks and save time in the classroom. Easily award and manage detentions with our detentions module. Instant reports for SLT and pastoral teams which highlight trends and pupils at risk. Reports for Form Tutors, Heads of Year & Heads of Subjects. Be consistent as a school in terms of managing behaviour and make sure all staff are on board. Be ready for Ofsted and no-notice behaviour inspections. We have helped schools quickly go from “Requires improvement” to “Good” for behaviour. Our real time behaviour feeds help eradicate low level disruption and enable on-call staff to take a very proactive approach. This tool helped one of our schools reduce fixed term exclusions by 98%! Our Artificial Intelligence Engine learns about how pupils influence each other in the classroom and seating plans can be optimised for behaviour at the click of a button. 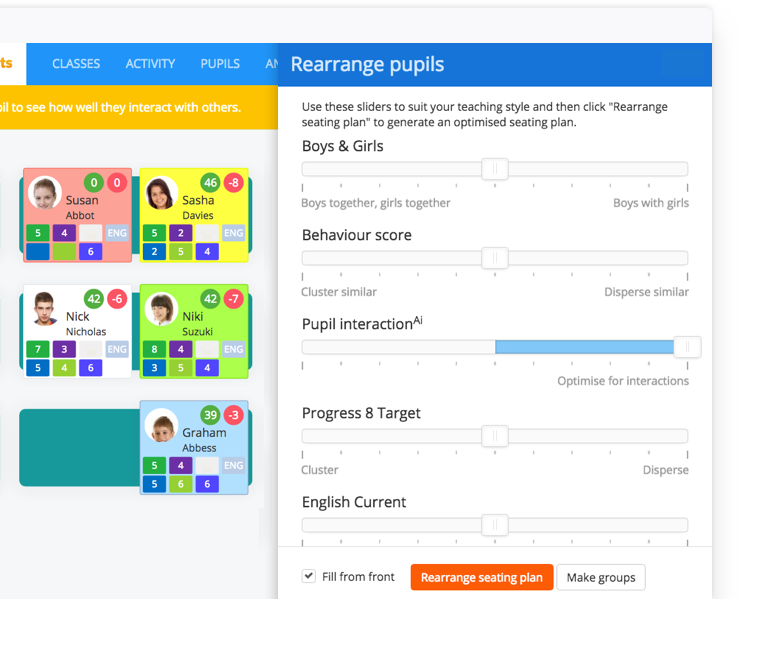 The AI engine also suggests seating plans optimised for learning – dispersing or clustering pupils by ability to suit the teacher’s approach to differentiation. Use our Intelligence Events to notify specific staff or parents when specific incidents occur. The first questions parents ask when choosing a school are about bullying and behaviour. Our parent & pupil apps help celebrate achievement and get the message out that you have a great school, which means more pupils coming in through the front door! Engage parents and promote your school’s positive achievements into the wider community. Share customisable behaviour reports with parents and email notifications. Help pupils see their own progress and reflect on their achievement & behaviour. Motivate & engage pupils with our optional rewards store which can be fully customised to meet your needs. Our detentions module is tied in with behaviour management and offers a slick way for your school to manage the whole detentions process. Staff can easily award detentions which can easily be tracked and administered, simplifying the whole process! Attach a detention to a specific behaviour type so that your staff are consistent throughout your school. No more double bookings for detentions, teachers are made aware if they try and set a detention for a pupil who already has one set for that date. Make use of detention attendance and track who is attending and not attending set detentions. Parents can view detentions via email or our iOS & Android apps. 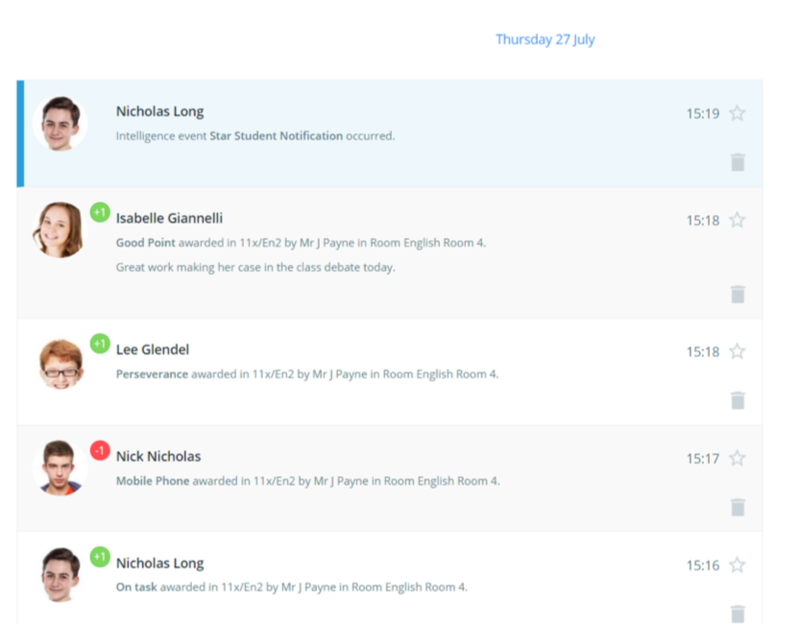 Get instant reports on detentions by year groups, subjects, pupils and more. Our WAR Boards are a big hit with SLT, Heads of Year and Heads of subject. You can say goodbye to hours of scissors and Prit Stick and say hello to a fast and powerful way of creating a visual representation of groups of pupils. 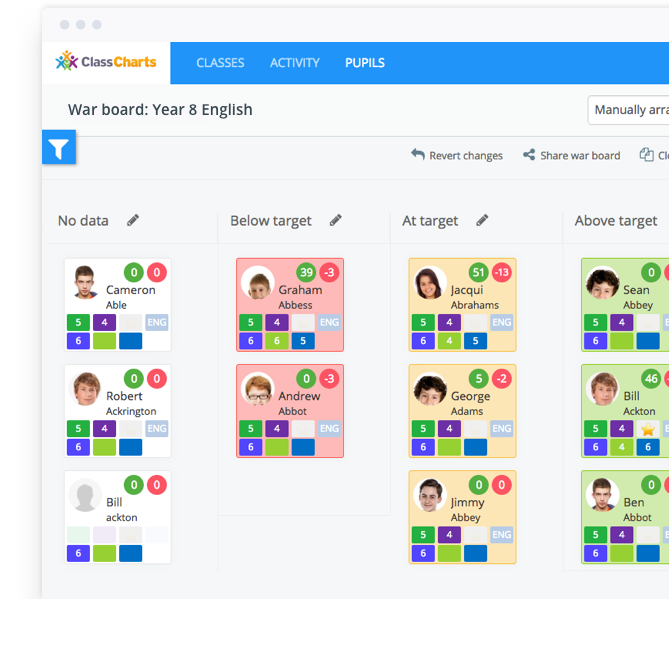 By applying our Red, Amber, Green system our WAR Boards instantly highlight underachievement in groups of pupils and are a great focus point for achievement meetings. Need to take a look at achievement in Maths of Year 9 boys who are on Pupil Premium? Our powerful filters help you select groups of pupils and instantly highlight progress. Use our RAG system to automatically compare current or target grades or drag pupils manually into the relevant columns. Save or edit WAR Boards and share them with selected staff and add a face to the pupils they should be focusing on. Quickly and easily set homework from inside the class. The end of pupil excuses! Embed your school’s homework calendar on your school website so pupils and parents are always aware of expectations. Share via our iOS & Android apps. Simple to produce but detailed in their analysis – our reports allow the school to track homework submissions by pupils. 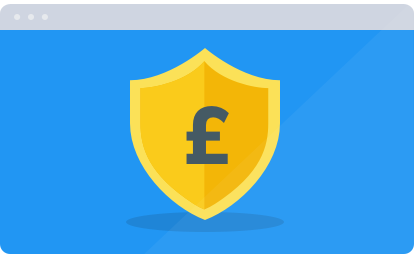 The reward store is a system that allows schools to input their own rewards into our store and incentivise behaviour in a way that works for them. Schools have full control over the contents and value in the store. Students spend their behaviour points through their apps accessed via mobile or internet browser. Easily remain aware of school wide behaviour the moment that it happens. Teachers can quickly action and respond to issues either in person or digitally. Heads of year can see up to date real time activity feed occurring in the school. Can keep a close eye on students. Real time school wide behaviour reporting including individual behaviour events. 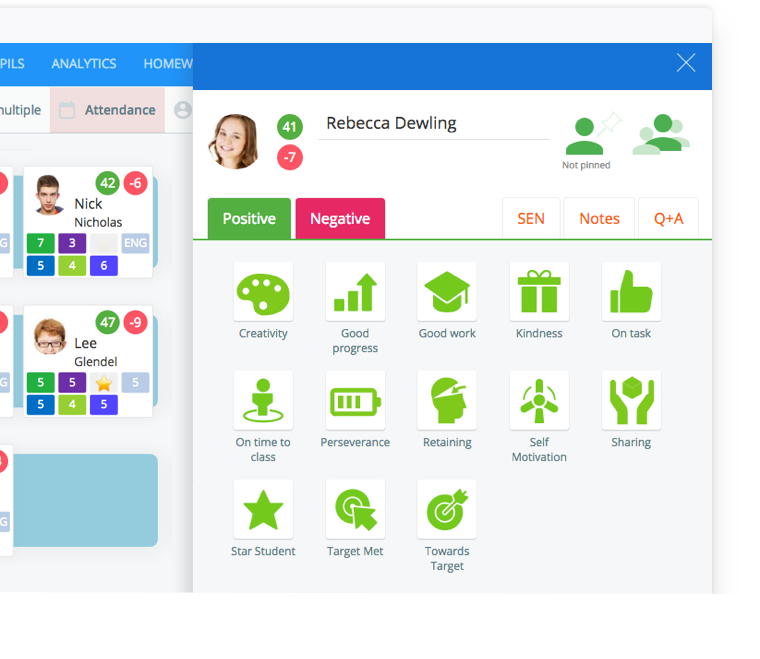 Everything you see is filterable, including by year group, pupil, behaviour and much more. The Class Charts teacher app allows mobility around the classroom. This means teachers are not tethered to the front desk and can observe pupils. Teachers can reward/discipline wherever they are in school with just 2 clicks. Available on iOS and android apps, or any web enabled device. Perfect for teachers on duty or PE staff. No need to mess around with spreadsheet imports. We connect with SIMS, Integris, CMIS, Progresso, iSAMS and more. 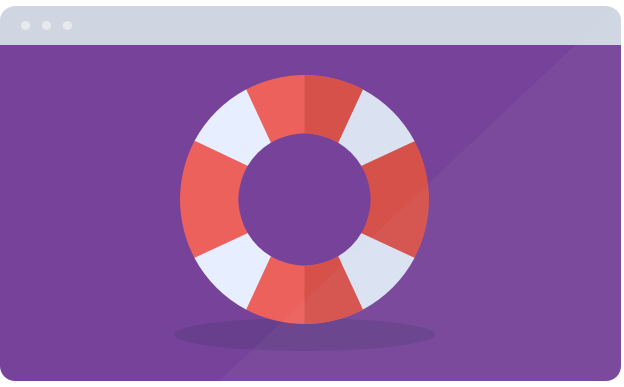 Let us show you how to save time, reduce teachers’ workload and remove the big barriers to learning! Join over 180,000 other teachers already using ClassCharts. We would love to help in your school. We love what we do and think you will to! 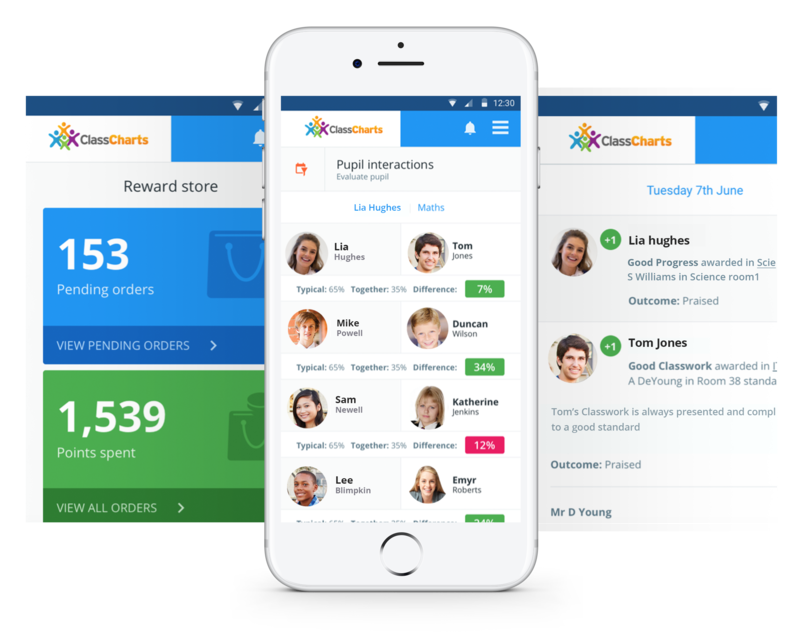 Class Charts costs less than just one of your classroom management solutions. 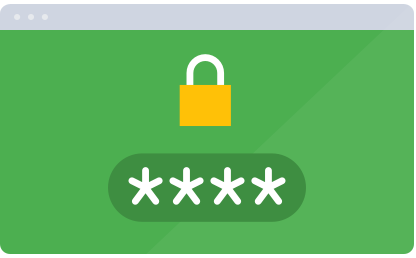 No more multiple log-ins and passwords for several classroom management software. Everything you need all in one place. Free tech support all year round. works in schools and are dedicated to making a positive impact on Teaching & Learning. means we can tailor it exactly to your school’s requirements.